This month we continue to expand the SmartMusic repertoire library, beginning with several new solo and large ensemble titles. We also swapped new music into SmartMusic’s Free Library and made a handful of titles available to anyone (even folks who have yet to sign up for SmartMusic). 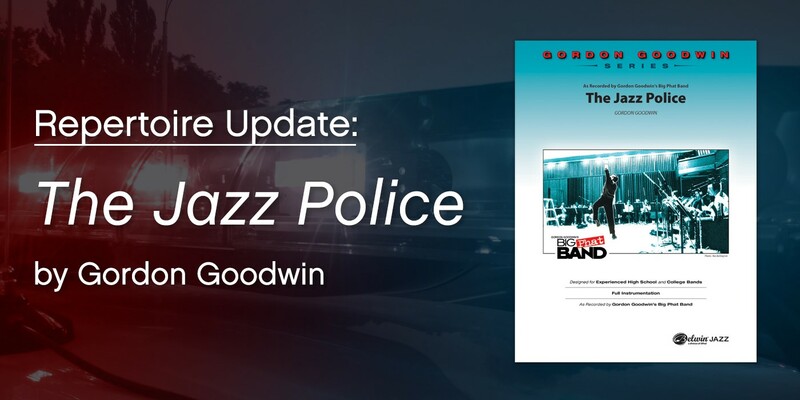 Finally, just as we did back in January, we’ve added some more video content; this time it accompanies The Jazz Police by Gordon Goodwin’s Big Phat Band. Details follow. We’ve added 99 new solos to new SmartMusic this month (65 of which also appear in classic). View them all. To help your students perform this inspirational (and challenging) piece, Gordon and several members of the Big Phat Band have recorded short videos with section-specific performance tips. Links to these videos appear in the chart within SmartMusic. Now, even if you don’t own SmartMusic, you can check out this chart, and the videos, in SmartMusic for free. To do so, just specify your instrument below. New SmartMusic includes an “Essential Content” library that is available to everyone, even students using SmartMusic for free. Included are exercises, sight-reading tools, select state scales, and Sound Innovations, book 1 for both band and orchestra. At the beginning of 2019, we updated the solo content in this library. For the second quarter of 2019, we’ve done it again. Included are six titles each for band, orchestra, choir, and jazz ensemble, plus two collections of instrumental solos and one of vocal solos. See the Spring 2019 additions to the free library. This is great news if you don’t have a new SmartMusic subscription. But if you do, why should you care? Now you can send anyone a link that will open up directly in SmartMusic, making it easy to share the entire concept. You might send a link to a parent, student, administrator, or fellow educator; anyone who might be interested in what SmartMusic offers, but for whom signing up for a free trial might have felt like an obstacle in the past.